General Motors said worldwide sales fell 10.8 percent in 2008, ending its 77-year claim as the worlds largest automaker. GM sold 8.36 million vehicles last year, putting it about 616,000 units behind the 8.97 million reported by Toyota Motor Corp. Tuesday. The 2008 results cap an advance by Toyota that has seen the Japanese automaker overcome a 3 million deficit since the start of the decade, fueled by gains in the United States. In 2008, both automakers posted sales declines. 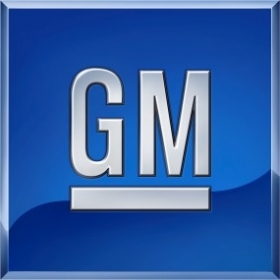 GM President Fritz Henderson had said the previous evening that retaining the title wasnt terribly important, to him. He told the Automotive News World Congress that its more critical that GM, which hasnt posted a profit since 2004 and has tapped $4 billion in U.S. loans to pay its bills, is strong financially. Car sales worldwide plunged in the final quarter amid a financial crisis that forced most automakers to slash production. GMs fourth-quarter sales volume dropped 26.2 percent. In the United States, the single-biggest market for both automakers, GM tumbled 22.7 percent last year, while Toyota was down 15.4 percent. As of 2007, Automotive News ranked Toyota No. 1 in worldwide sales. In that year, GM included 516,435 Wuling brand vehicles in its global tally. But GM owns only 34 percent of the Chinese company that builds Wuling products, SAIC-GM-Wuling Automobile Co. Shanghai Automotive Industry Corp. owns 50.1 percent. Automotive News counts only sales of majority-owned subsidiaries in an automaker's global total.